We are excited to feature Cecil Baker, Sales and Leasing Consultant, as our Feature Friday interviewee this week. 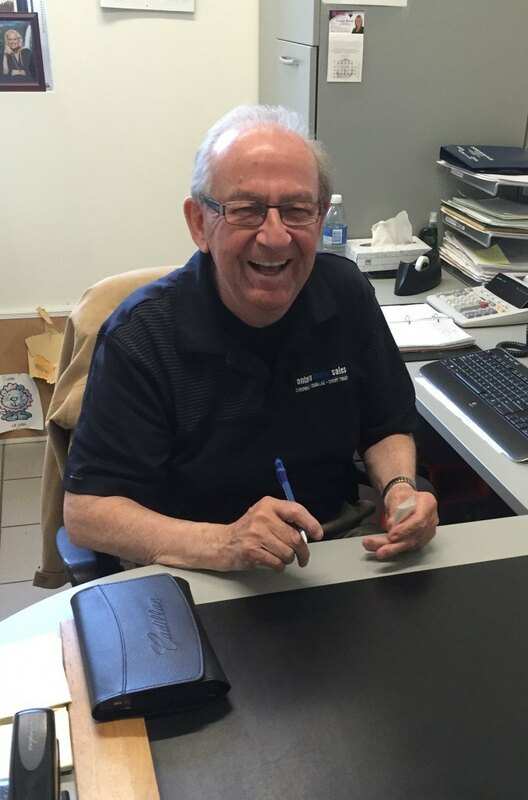 Please scroll down to read about Cecil's take on life around the dealership. It’s my way of life—and a good one at that. I enjoy selling cars, meeting people, and coming to work every day. If you don’t like coming in to work every day, you aren’t doing yourself or your company any favours, and I think everyone at OMS enjoys coming in. I’ve been here for 21 years now and plan on working here for another two or three before I retire, and I can safely say that OMS is the best place I’ve ever worked at. The way the dealership is run. Every year, we get better—even when I think there’s no way we possibly could. The managers, especially in my department, are great at making my job and life easy. They run great promotions like the $15,000 giveaway, which are always creative and worthwhile for our customers. Plus, this is a classy place to work. Being able to work here is a reward, I think, and I feel very honoured every day when I come in. A gentleman was a little late for his appointment with me just the other day, and when he arrived, he was really apologetic. I said to him: “you’re doing me a favour by giving me the opportunity to earn your business and sell you a car.” There wasn’t any need to apologize. What’s most important to me is that when you leave, you feel that I’ve treated you fairly, kindly, and with honesty. I think that’s all that people want. They like to be treated that way. It isn’t something you need to “sell” to them, like you sometimes hear in movies. It’s just something you need to be as a person. I always say: if you tell the truth, it’s hard to be caught in a lie. It’s a great working environment. Our hours are great, and for me—working primarily days—flexible. I can stay late or come in early to help a customer if I need to and it isn’t a problem. People here dress properly but casually, and again, we’re all treated fairly as employees. You need downtime sometimes in life, and we get it here with fair shift schedules and teambuilding opportunities. Also, our service department works well with us here in sales, and overall, everyone gets on well with another. I like every part of the dealership. People like to joke around here because I'm not the best with computers… Someone once made me a little fake business card that said I was the “I.T. Specialist.” I’m 75 years old, so… not exactly! I thought it was funny though—I still have it in my wallet. I don’t mind laughing about it at all. The running joke whenever someone’s computer breaks is to “ask Cec to fix it.” Like I said, it doesn’t bother me. Everyone here has a great sense of humour.